Do you have assets in a trust? Listen up! Cape Town – Another tax loophole is about to slam shut for South Africans who use interest-free or low interest loans made to a company-connected person in relation to trusts. In 2016, National Treasury clamped down on an anti-avoidance measure to curb the transfer of assets to trusts through the use of low or interest-free loans. It has come to government’s attention though that taxpayers have already devised new ways to circumvent this by making low interest or interest-free loans to a company held by a trust through a connected person, National Treasury told Parliament's standing committee on finance in August. National Treasury now proposes to extend this provision to also catch in its net those who use this anti-avoidance measure. 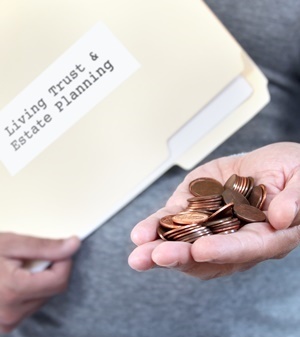 Kemp Munnik, head of structured solutions at investment bank Bravura, said trusts have been a tool for estate planning whereby the value of an asset is locked in without income tax consequences. He explains: “Historically, say you and I create a trust and I want to put my property into a trust – the only way you 'sell' it to a trusts is on loan account. If I for example sell my R10m property to a trust, the trust then owes me the money. If the value of the property grows to R25m the increase in value is outside of my estate. So the only asset in my estate will be the R10m 'loan' that the trust is owing me." In this instance there was no income tax consequences, because it was an interest-free loan. "If there’s no cash flowing there’s no interest payable and therefore no income or tax in individual hands," Munnik says. In 2016, National Treasury closed this loophole. "They basically said, if I don’t charge interest there’s going to be a deemed interest chargeable," Munnik says. Once people realised they’ll be taxed on loan accounts to trusts they started granting these "interest-free loans" to a company that is connected to the trust – and not the trust itself. But in the new legislation the scope has been widened and the regulation is now extended to companies or company-connected persons in relation to the trust. The proposal, among a number of others, were the subject of public hearings hosted by Parliament’s recently. National Treasury will report back on the input it has received from interested parties by mid-September.